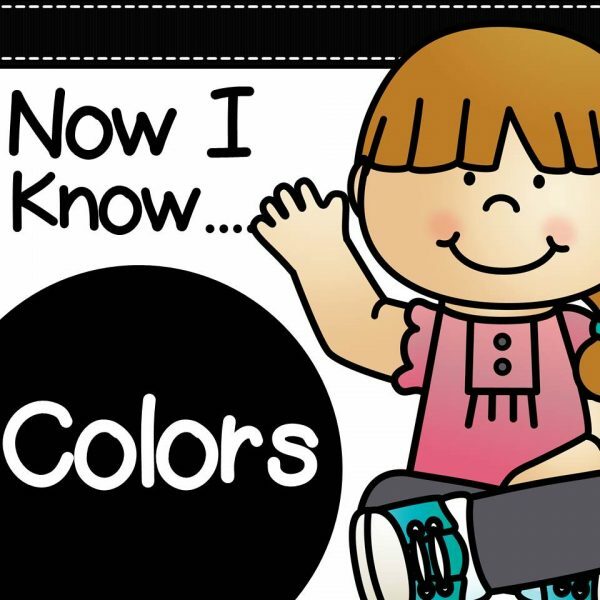 These color centers are perfect for teaching color identification and color words to Pre-K and Kindergarten students. If you are looking for hands-on and engaging color activities for your classroom – these are for you! This pack is filled with engaging color centers for Pre-K and Kindergarten students that are NOT themed and can be used ANY TIME of year! (see the preview and description below for full details). Color Match Clip Cards (2 sets) – match up the paint cans to their brushes, and the buttons to their shirts by clipping the matching colors. 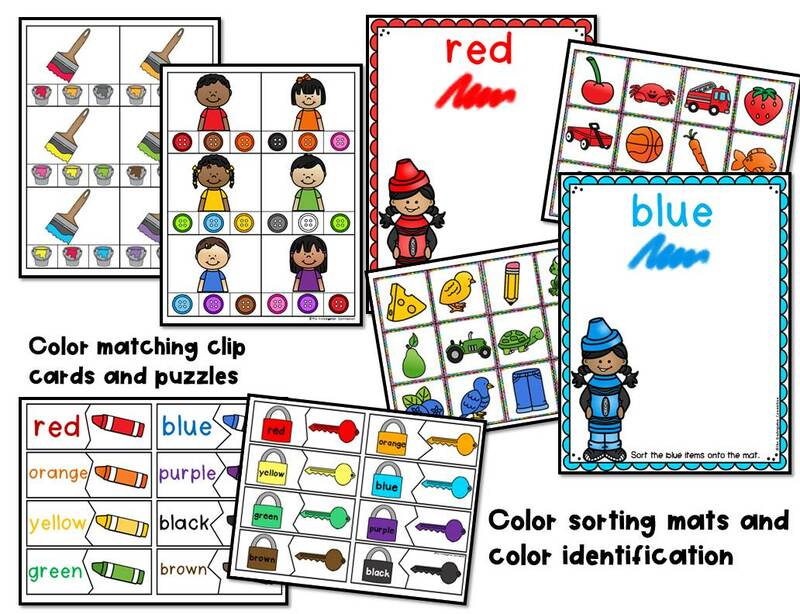 Color Sorting Mats – sort the items onto the mats by color (5 items per color red, orange, yellow, green, blue, purple, brown, black, pink, gray, white). *alternative spelling “grey” is also included in this pack as an option. Colors Write It! (Write the Room) – Pick a colored object card. Label the color of the picture you picked! (also includes a “color it!” version with no writing required). Roll a Rainbow – Roll the die. Color a space above the crayon you roll on the graph below in that color. See which one gets to the top first! Color Puzzles (3 sets) – Match up the locks and keys by color. Match up the color words to their crayons by reading the words (one set includes the words written in that color for support). Colorful Monsters – Pick a monster card. Identify the color and color a monster to match! Rainbow Bear Bingo – 12 individual Bingo cards to play colorful Bingo! Great for small groups or to play as a whole class. Have a few winners at a time and make it fun for everyone while learning colors! 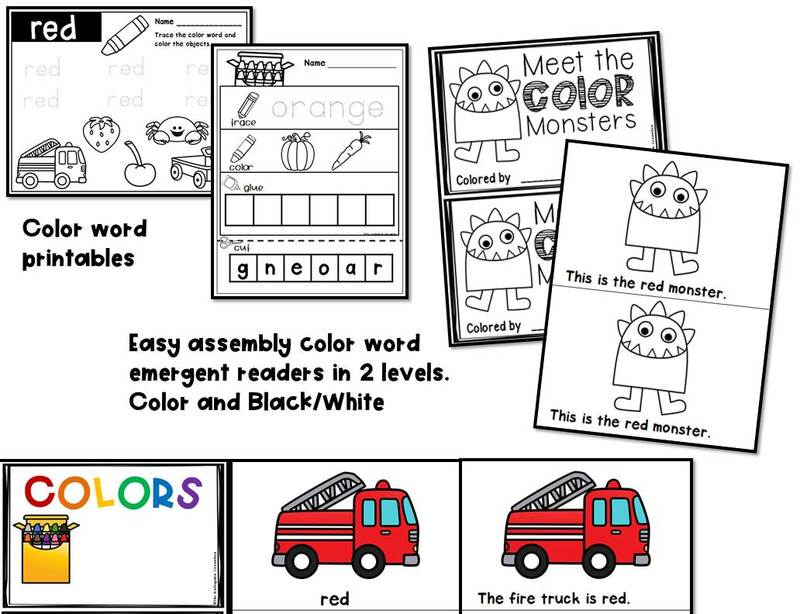 Emergent Readers – (2 books at 2 levels each) – These books come in both color and black and white and are easy to assemble. Just print double sided, cut in half, and you have two books ready to go! 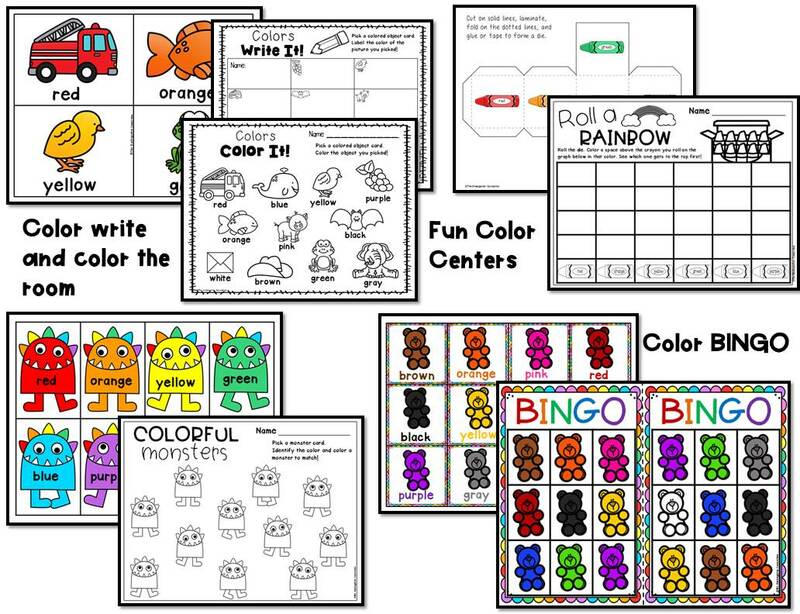 Color Word Printables – Trace and color printables, and trace, cut, and paste printables for 11 different color words: red, orange, yellow, green, blue, purple, brown, black, gray, white, pink.